With today's new update, we're now past the halfway point of Fortnite: Battle Royale season three. How's that Battle Pass looking? Are you close to Tier 100 and all of the lovely rewards that come with it? If not, have no fear, because there's seven fresh new challenges full of gold stars to earn towards ranking up. Here's a quick look at this week's challenges. This one is self-explanatory. Pick up any of the SMG's found throughout the map and deal 500 points worth of damage to an enemy. This one will most likely be accomplished throughout the early stages of matches. Another easy quest sends you to the farmland in the northern part of the map, which is basically the lesser loot-friendly version of the south's Fatal Fields. Chests are found all over the area, in small barns and big houses. This week's easiest challenge focuses on placing down a campfire, singing "Kumbaya," and healing up yourself and your teammates. Climb to the top of different mountain peaks ten times for a well-earned five stars. Head to a hill between Shifty Shafts and Salty Springs for an easy 10 stars. This is a great way to exercise the new Guided Missile. Just get three kills with any explosive weapon, like rocket launchers, grenades, or grenade launchers. 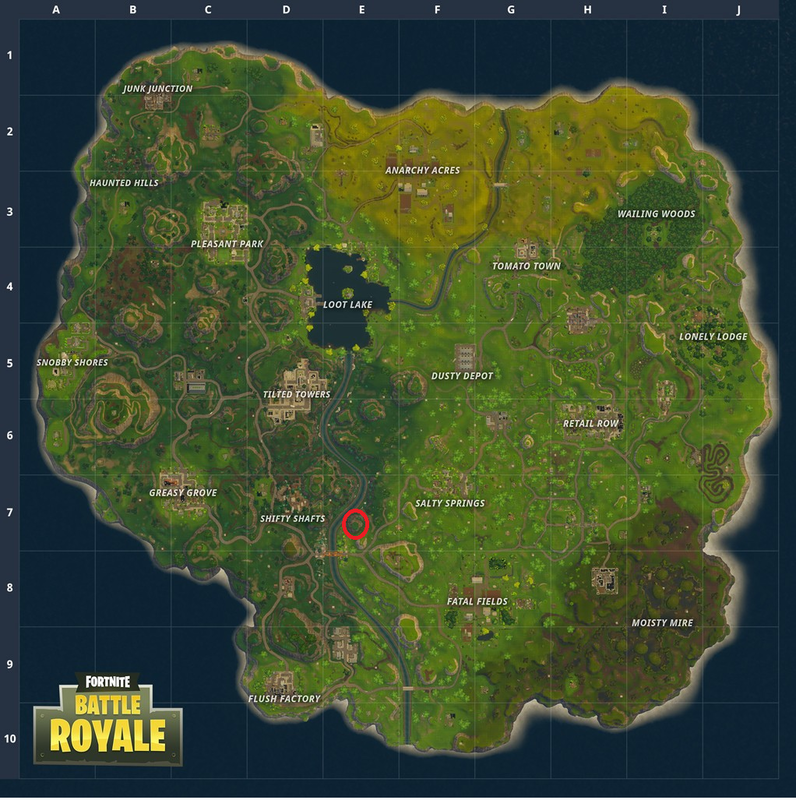 This week's location challenge sends you to Retail Row, a pretty popular area on the eastern side of the map. It's split into two halves, one being filled with residential housing and the other with retail stores.